As Ireland prepares to host the Women’s Rugby World Cup in August 2017, the island nation is also looking to the future. The much-hyped tournament is already close to a sell-out, and the Irish Rugby Football Union (IRFU) doesn’t see it only as a goal in itself, but also as a means of establishing their capacity to host international events of this calibre. To that end, a bid to host the men’s tournament – traditionally far bigger and better supported, due to the sport’s extensive history – is in place for 2023. Many of the 2023 venues, though, would be borrowed from Ireland’s traditional sport, GAA. For many years, there was a rigid separation between the traditional Gaelic sport and the sports their association labelled as ‘foreign’, including rugby and soccer, so much so that players could be removed from the GAA for so much as kicking a soccer ball. That particular taboo was broken for good when the Aviva Stadium was redeveloped in 2007, and Ireland played France in the previously sacrosanct, GAA-only ground Croke Park. Croke Park is amongst the stadiums put forward for the 2023 bid, and with a full-house capacity of 82,300, the Dublin venue remains the third biggest stadium in Europe. But what of the real rugby stadia? Here, we outline Ireland’s best. 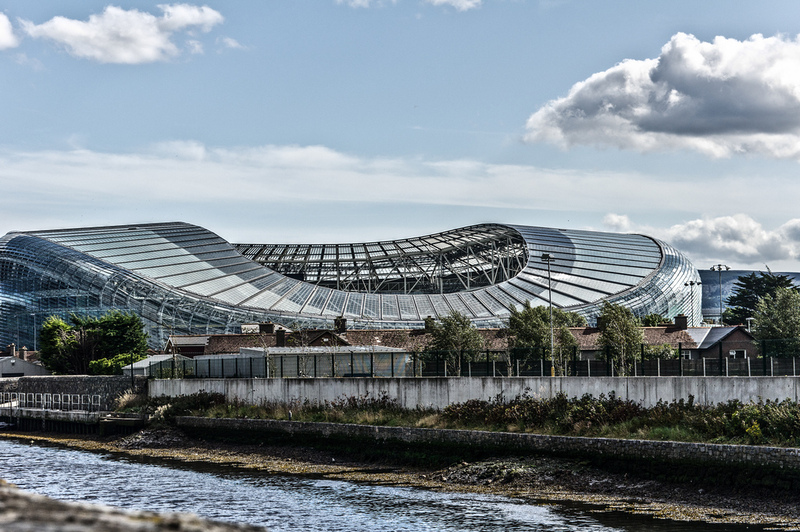 Still known to many as Lansdowne Road (its pre-revamp and pre-corporate sponsorship name), the modern version of the Aviva Stadium opened in 2010, and it is the home of Ireland’s national rugby and football sides. The modern design sinks to near the ground at one end, where locals objected to the structure’s impact on the light in their gardens, creating a curious design sometimes jokingly called a ‘bedpan’. As well as its two core sports, the Aviva has hosted a series of concerts, including the likes of Lady Gaga and AC/DC, and once sold out a show from a band you might well never have heard of, local heroes The Script. It’s also hosted Heineken Cup (European rugby) finals, and the final of the Europa League, European football’s second-tier continental tournament. It holds 51,700 at fully seated sporting events. If there’s no game on, tours are available. 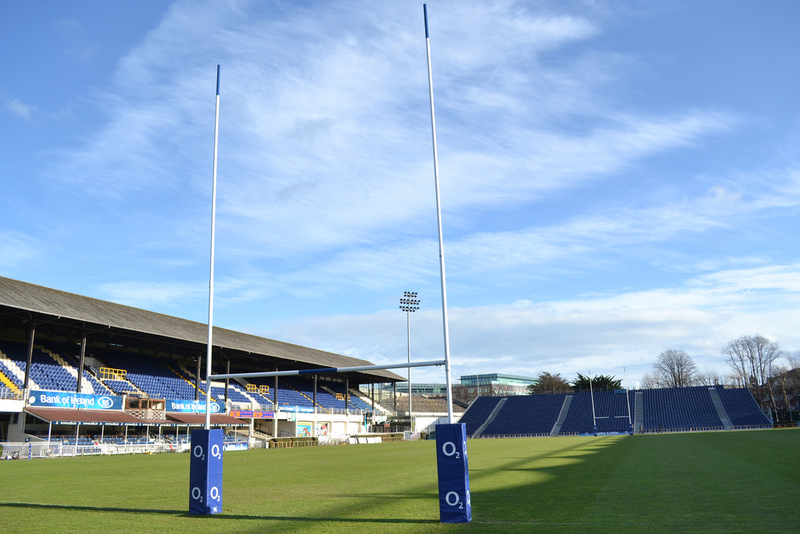 Home of Leinster, who represent the Eastern of Ireland’s four provinces in the joint Irish, Welsh, Italian and Scottish professional club rugby league, the Pro12, the RDS (Royal Dublin Society) in the capital city is an iconic rugby venue. Located in an ornate compound that also hosts major conferences such as the Dublin Horse Show, and Ireland’s Comicon, the Arena location – where the rugby takes place – holds a frequently sold out 18,500, with plans in place for substantial redevelopment in the near future. Queen, Bruce Springsteen, Guns N’ Roses, Michael Jackson and U2 have all played here in the past. However, for locals, since their relocation to this spot in 2005, it’s very much been the home of the ‘Leinster roar’, particularly beloved by the faithful as the home ground during all three of their European Cup title wins, achieved in 2009, 2011 and 2012. Redeveloped to a high standard in 2008, the 25,000 capacity Thomond Park is home to the fiercely competitive southern provincial side Munster (though their smaller games are played elsewhere – see below), as well as hosting Ulster Bank League (sub-Pro12) team Shannon RFC. The stadium is a renowned fortress, with Munster once maintaining an unbeaten home run in European competition here that lasted for 12 years. It’s the site of a legendary local victory, the defeat of a touring New Zealand side – seen as almost invincible – in a 1978 friendly contest, a result only matched by the national team when they finally got one over on the All Blacks in 2016, at the 29th attempt. Thomond Park is also a popular – if irregular – concert venue, having hosted Bob Dylan and Elton John, and was recently the temporary home of local soccer club Limerick FC. 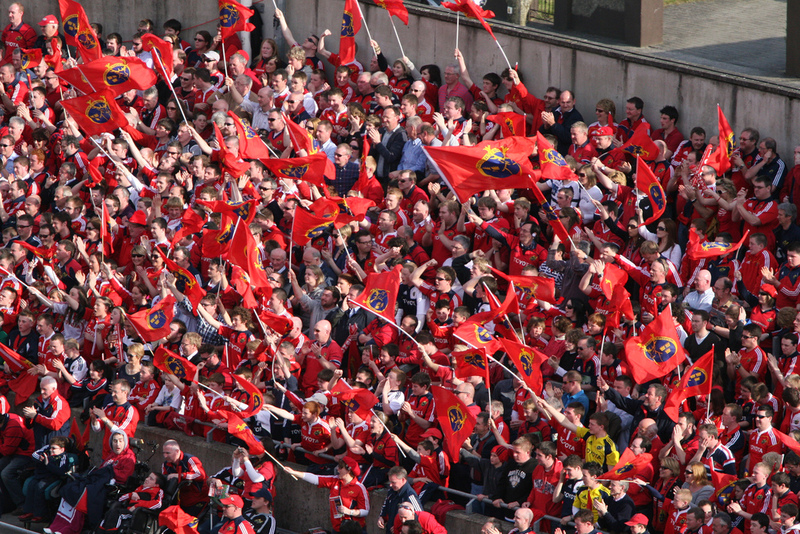 Munster are twice European club rugby champions. Kingspan Stadium (also known by its unsponsored name, Ravenhill) is due to host the finals of the Women’s Rugby World Cup on August 26, 2017, a date that the host nation is dreaming of reaching. 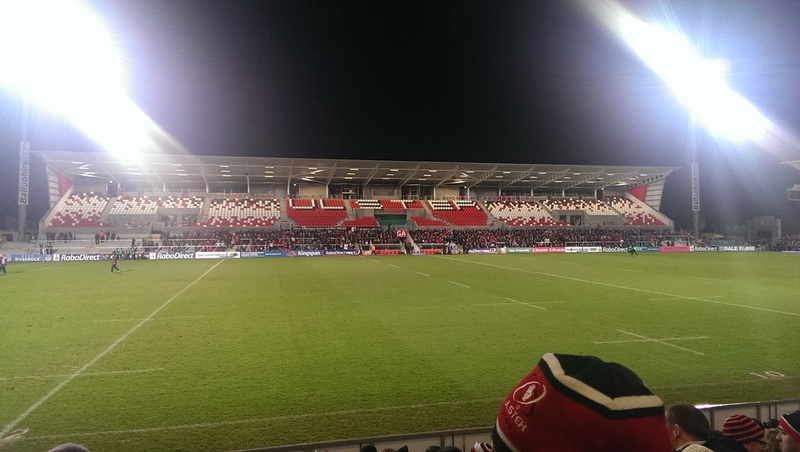 In its more everyday capacity, it’s the home of Ulster Rugby, the north of Ireland’s four Pro12 teams, and yet another European Cup winner, from back in 1999. The stadium dates back to 1923, and many enter via an arch in memory of those who died in World War I and World War II. Rugby is a sport that unites Northern Ireland in a way that soccer never has, and the stadium has a famously good atmosphere for games, raised in recent years by South African star man Steven Pienaar. Western province Connacht are very much the poor relation of Irish professional rugby, traditionally seen as a feeder club for the three more successful provinces. Their recent success, then, has been roundly applauded by a rugby public that long had a soft spot for the Atlantic coast club. The Sportsgrounds has been the club’s home for generations, and at 8,100 capacity, it is by far the smallest (and most intimate, in terms of getting close to the action) stadium on the Irish Pro12 circuit. Their Pro12 title in 2016 came against the odds, masterminded by Pat Lam, and marked their first-ever major trophy. Lam, sadly, has since departed. Musgrave Park is in part a strange consequence of Munster’s longtime two-base policy, which has seen the side train in two different Munster locations, Limerick and Cork, which is something detractors have long picked out as a failing of the team. 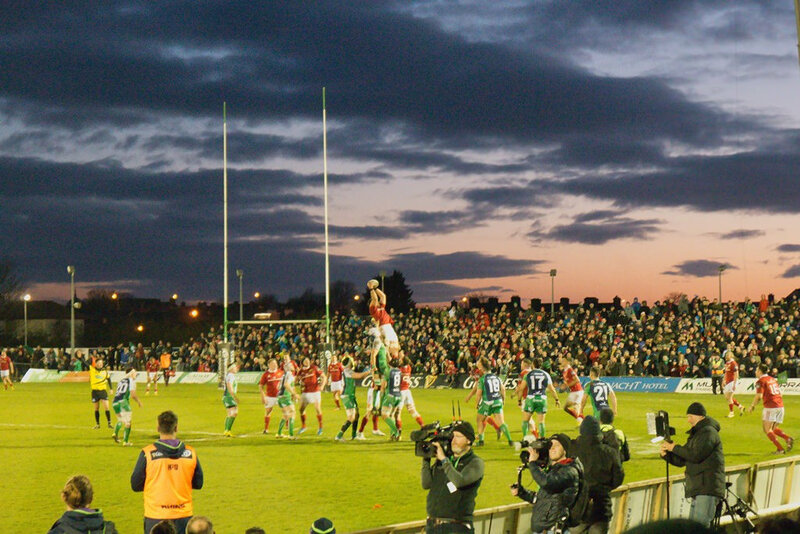 Musgrave Park hosts only Munster’s smaller games, typically against Italian opposition, and ensures that the club brings their game to both of their home cities. It’s by far the least impressive of the stadia here, but it has its own concrete, provincial charm.